5 reasons to support Centrum Mandala z. s.
It is our goal to improve current social climate. We believe that only happy and content people that can make a happy society. If you can identify with this vision, support us! All the funds and donations are used for specific and pre-arranged purposes. These mainly include the improvement of the quality of our services (e.g. updates of the website, programming of new website features, room equipment, etc.) and the realization of our projects. discounts on courses for you, your employees, even the possibility to create an individualized course especially for you (based on your requirements with a capacity of at least 6 people). 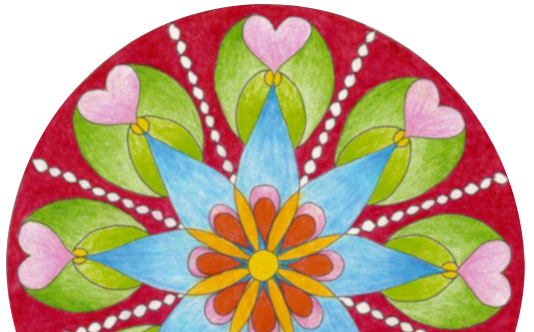 You can experience a very original team building, art therapy, art couching, pleasant relaxation or art-time-management (some courses are offered in English as well!). You can borrow pictures from Centrum Mandala or we can create a special harmonizing picture only for your company. If you are interested in co-operation, please contact us. Nenechte mandalovník a náš svět bez barev!